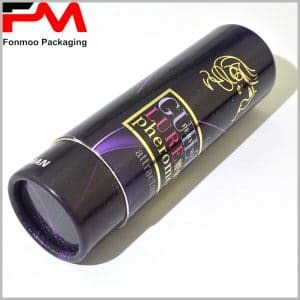 Sometimes you need creativity on your packaging solution and this woodcut style creative cardboard tube packaging box can be your good choice. Made of 200g cardboard as main material, the structure is firm and homogenized, then the 60g chrome paper is applied on the surface, imitating crude motifs of woodcut. We applied 3D printing technology for the images to make it more like a natural wooden log. The tube packaging box is short but large, ideal for containing some big stuffs. You can use it for food, electronic products, or some products that might need a package that looks nature but creative. 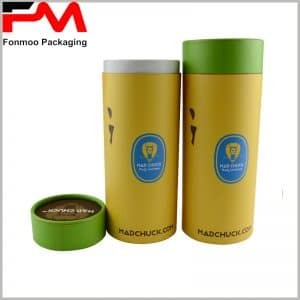 Not only limited to this style, if you have any need, there are always place for customization, so you can create even more personalized wooden log style cardboard tube packaging box than this. Just contact us if you are interested, tell us what you need and we will do our best to offer it. Or even if you don’t have a clear idea of what package to take, our professional designer team will help you find your most ideal creative cardboard tube package box.